.NET File explorer control written in C#. 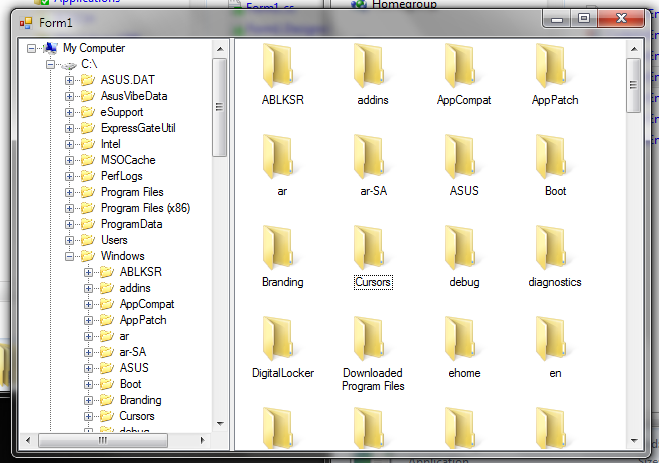 Can be use to explore folder and files in local driver / remote server. 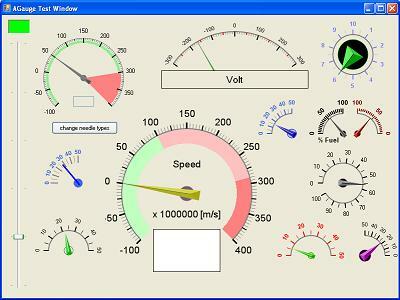 This control is included in WinForms Controls Library. Add FileExplorer control to Form. 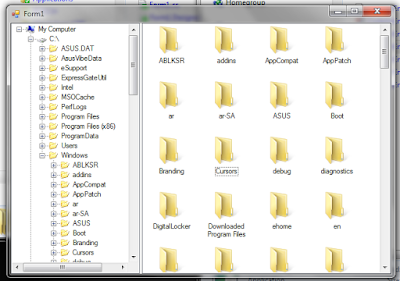 AttachToMyComputer() to show folder from local machine. AttachSource() to show files and folder from classes which implemented IFileExplorer interface. Subscribe to events FolderSelected, SourceChanged, and FileDoubleClicked to define functions on each of these actions. All event are optional.